Feeling pain when trying to pass urine? Try a simple remedy- drink the water from a young green coconut. Why it works: when you suddenly have problem passing urine, it can be due to pH imbalance. As the result, flora and bacteria that strive in the environment can cause pain when you are trying to pass urine. By drinking water from a green coconut, the pH balance would be restored almost immediately and the flora/bacteria would not be able to survive in that environment. 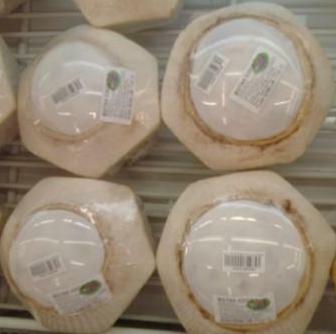 If you stay in a country where young coconuts are not easily available, you would need to get over the counter medication from pharmacies. And drink lots of plain water- avoid caffeine like coffee and tea that would tax your kidneys and make your urine even more acidic. But if there is no relief or if you are passing out blood in your urine, seek medical attention immediately.